If you have not heard of Hygeia, you may not be alone. 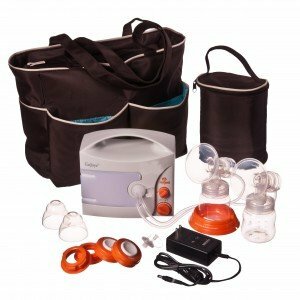 It is one of the lesser known breast pumps on the market but it is fast gaining a strong foothold in a very competitive market. Knowing that you can recycle or sell this pump without it being a health issue is something to consider. You spend a lot of money on a breast pump and the thought of throwing it away when it is still working is unsettling! Hygeia has also tried to stand out in other ways. They remain one of the few WHO Code compliant pump companies. They are endorsed by LLLI. They provide support to breastfeeding mothers and are committed to helping moms achieve their breastfeeding goals. La Leche League International — We are proud to be the only breast pump company endorsed by LLLI and every one of our pumps comes with a free annual Supporting Membership to LLLI. Hospital-Grade Performance – Unlike other manufacturers, all our personal-use electric breast pumps have the performance and hygienic features found in hospitals. Ecological – Because our pumps are closed system, they can be rented and shared between mothers who use their own pumping sets. Our commitment to the environment makes our pumps one of the “greenest” on the market. You can share your breast-pump with another mom when you’re done or return it to Hygeia for recycling or reuse. WHO Code – Hygeia is one of the very few WHO Code compliant pump companies. That means that we support the World Health Organization’s International Code of Marketing of Breast-milk Substitutes. Simply, we believe that breast milk is the normal way to feed human babies and choose to market our products without undermining breastfeeding in any way. Support – Hygeia provides options for moms to obtain local support from a lactation consultant. Hygeia provides qualified referrals with trusted experts in local areas who can provide personal support. Your pump also comes with a LLLI membership that provides mother-to-mother support. Value – Hygeia makes hospital-grade performance pumps that can moms can purchase or rent. 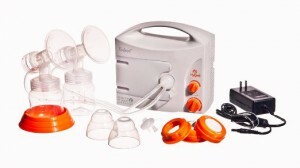 Our pumps cost less upfront and are designed to be used for more than one baby. BPA and DEHP Free – All pump parts that come in touch with breast milk are BPA- and DEHP- free – offering peace of mind for breastfeeding moms worried about chemicals. If you read my review of the Hygeia Q, then you might think these reviews look similar. Well, you would be right. They are basically the same pump so they will have similar reviews and features. Internally the Enjoye and the Q are identical. They have the same motor and suction apparatus but the Q does not have a carrying handle, the “Care Module,” or a rechargeable battery. The “Care Module” are green and black buttons that allow you to play recording such as your baby’s voice to assist you with your milk letting down. One of the buttons has a prerecorded sound of a baby crying. The other button allows you to record your own sound. The Enjoye has the same features as the Enjoye Cordless except it does not have a rechargeable battery. You can purchase an external battery pack, however, but it would take AA batteries. The Enjoye Cordless can run on an AC Adapter or on its internal battery pack that lasts up to 4 hours. Another difference between the Enjoye and the Enjoye Cordless is that the Enjoye Cordless does not come with a tote bag. It comes with the Personal Accessory set but that’s its. With the Enjoye, you get a tote, ice cooler and changing pad in addition to the Personal Accessory set. So it’s a trade-off. I prefer my pumps portable so I would rather have the internal rechargeable battery over a tote and cooler but that’s just me. There are many great totes on the market today that are super cute and even look like regular purses. Sarah Wells makes some great ones! So I wouldn’t stress about not having a tote. Find why I love Sarah Wells pump bags, click here! One nice feature is that you can independently control the cycle rate and suction strength. There are two dials that you simply turn up or down for each. 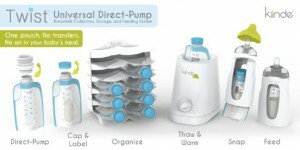 Every mother is going to have different needs in terms of how their pump works. The idea is to mimic how your baby nurses. The fast suckling with lower suction acts like a hungry baby just put to the breast. This helps trigger your milk let down. Once your milk lets down, a baby’s suckling will be deeper, slower. So slower speed and more suction. The ability to control this helps each mom find their sweet spot and get the most out of their pumping session. The one complaint I have about this feature is that Hygeia does not have the ability to save your pump pattern so that the pump can follow your preferred settings automatically. The Spectra pumps, for example, allow you to control your own settings then save them. This is a time saver and can be annoying to have to do it manually each time. Medela pumps do this pattern automatically with their 2-phase technology. While it is nice to be able to manually control it, it would be even more nice to be able to save it. Something to consider with the Hygeia. 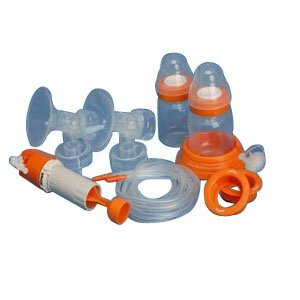 Another thing to consider with the Hygeia pumps is that the connector from the flange is quite wide, so it will not work with standard neck bottles. If you need extra, you will have to order the Hygeia bottles or a separate connector. It is also said to be a so-so fit with the popular feeding system, the Kiinde Twist. So that might be an option to use their connectors to pump directly into the Kiinde bags. Videos are always something I look for when reviewing a product. I want to be able to see it in action. Here are two helpful videos. They are a little “formal” for my taste in that they are scripted and produced by Hygeia but they, at least, give you an idea how to connect all the parts and give you a little walk-through of the pump itself. Reviews of the Hygeia Enjoye are relatively positive just like the Hygeia Q. Most users love this pump and say that it is very effective at pulling down a lot of milk in a short period of time. Another feature that users like is the fact that the Hygeia is a Closed System Pump. BUT I am not sure I am in love with how they went about making it a closed system pump and from the review, it appears others don’t love it either. 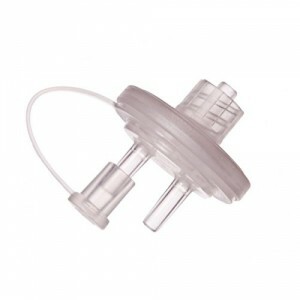 The pump is equipped with a filter (a small piece that fits on the motor and connects to the pump tubes). That means the milk is still free to get into the tubes. Other closed system pumps like the Spectra S1 and Ameda Purely Yours have the barrier at the flanges so no milk can enter the tubing. Much better design in my opinion. The issue with the way the Hygeia Q and Enjoye are designed is that that the milk backflows into the tubing. Users say it actually flows into them. They have to position themselves and the pump a certain way to help minimize the backflow. The Medela pumps are open system so the tubing does have the potential for milk to get into them but they get typically just get a buildup of condensation rather than milk freely flowing into the tubes. The Hygeia pump tubes would need to be cleaned and sanitized regularly and replaced on occasion to keep mold from growing. So no time saved there with washing even though this is a closed system pump. Click here to read more about Closed System pumps and if it’s a big deal. As you can see, the milk flowing into the tubes was mentioned again and again. That is something to consider when deciding if the Hygeia is the pump for you. Parts not dishwasher safe and recommended not to boil. Hand Wash only. The Hygeia is a solid pump at a reasonable price. Its performance seems to be unquestioned by users and that leads me to believe that it is a great pump and very efficient. It does have some drawbacks that I don’t love like the milk flowing in the tubing. That is certainly a concern. The filters are not cheap so having to replace that often is not a plus in my book. I do like that you have the option between the Cordless and basic model of the Enjoye. I am disappointed that the Cordless does not come with more accessories like the tote bag, however. 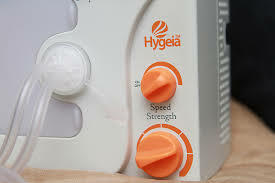 Overall, I think the Hygeia is a great pump that has some room for improvement. But at the price, it is a reasonable option for moms who will be pumping often. Have you used the Hygeia Enjoye? Leave a comment and tell us how you like it! 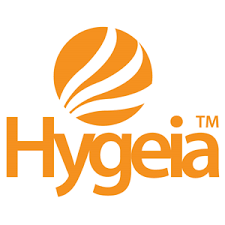 Click here Read More About Hygeia Enjoye! Need a supply boost? 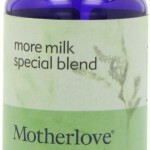 Try this amazing Lactation Supplement! Need a supportive and comfortable nursing bra? Find out why Cake bras are some of the best! Pumping? Go hands-free! See my picks for best hands-free pumping bras!